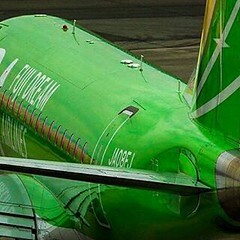 Just read this article ‘Apple iPad could revolutionise travel guides and inflight entertainment’ . I suddenly had a vision of passengers bringing on board their own entertainment tailored to their own preferences, not a bad vision considering the considerable investment made by operators into the IFE industry. 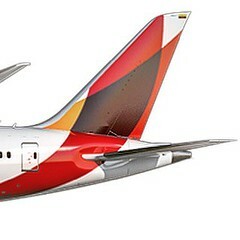 Just imagine there would be no installation/maintenance of cable to every cabin seat, expensive hardware failure, happy passengers playing Monopoly, Scrabble etc via WiFi, not forgetting access to operators website to update/up sell products such as Car hire, Hotels, Duty Free etc. Operators would become ISP’s ….. everybody’s happy, could this be a vision of the future ? Over the last decade commercial aviation has been engaged in a major transition towards a ‘digital aircraft’. With the next generation of aircraft (A380, A350 & B787), the industry is moving towards the ‘connected aircraft’ or ‘eEnabled aircraft’ This evolution is propelled by the need for increased efficiency and interoperability at a reduced overall operational cost. In the past, specialized avionic systems provided predictable interactions with the aircraft, the introduction of commercially available ‘off-the-shelf’ hardware and software components has expanded the scope for aircraft interactivity. To maintain the predictability and security of the aircraft, the new systems have safeguards built in, to interoperate without unintended consequences. 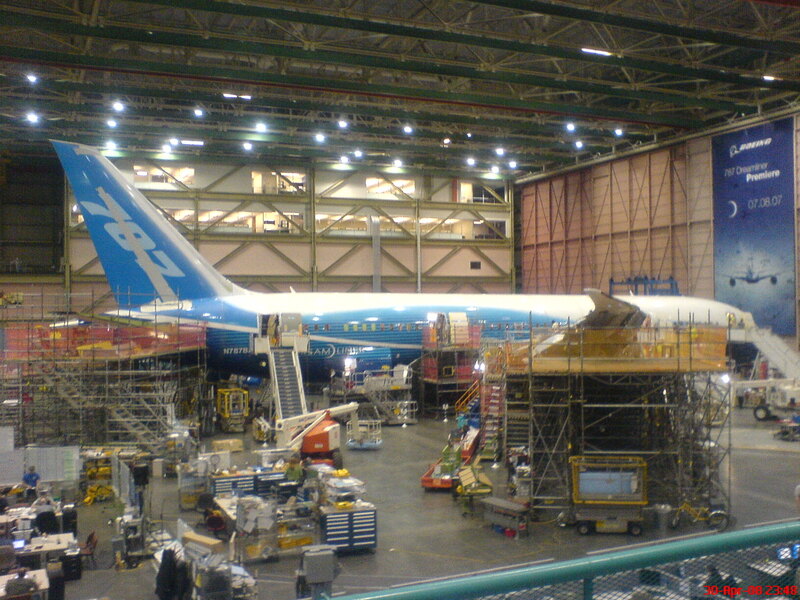 The systems design and certification onboard the aircraft are handled by the airframe and equipment manufacturers. However this new generation of eEnabled aircraft has extensive requirements for external interaction. Here lies the greatest challenges. Whether it is aircraft systems transferring data to a ground station, or a passenger in the aircraft accessing a service using the Internet, great care has to be taken to ensure that only legitimate communication or ‘information transfer’ is occurring. Check this link out for an interesting debate by Bruce Schneier in this area. 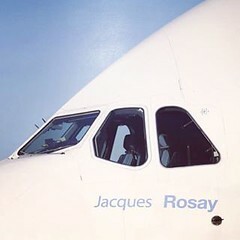 Airlines must have the ability to identify individual components, to a high level of assurance, this is important for the security of the aircraft and its operating environment. This is also true for the identities of the people that interact within the aircraft environment, such as pilots, cabin crew, mechanics, and other airline employees. Additionally, it is important to verify the integrity and the origin of data (including software) loaded onto the aircraft. Architectural design challenges faced by airlines, are to provide a secure, reliable, flexible and adaptable ground based IT environment that will grow with the business and its operational requirements. As eEnabled aircraft are added to airline fleets verifying the integrity and origin of data flows will become an ever-increasing challenge for airlines. 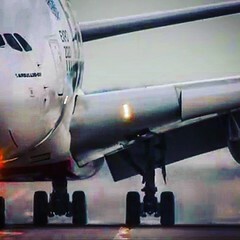 A particular problem for airlines that operate both Airbus and Boeing ‘connected aircraft’, would be, how to create common processes, workflows and data feeds for the different fleets, that will require updating in many different worldwide locations and communication channels. This new aircraft evolution will bring lots of challenges and opportunities for airlines but providing the right ‘Network Architecture’ foundation will be key to supporting the airline operation of the next generation aircraft. 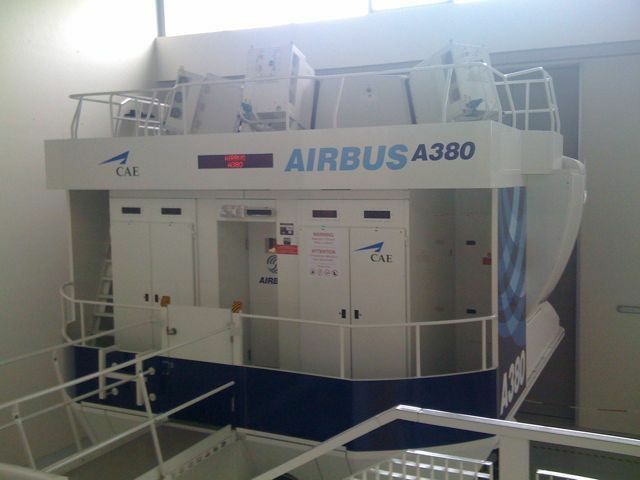 September 2008 I visited Airbus in Toulouse France on a business trip, where I had the opportunity to fly in the A380 simulator. Now I should say upfront that my flying skills amount to zero and frankly this realistic experience confirmed why I should never consider flying as a career. As luck would have it my captain on this journey was a pilot with many hours of flying under his belt … even if it was only a few feet above ground on this occasion. 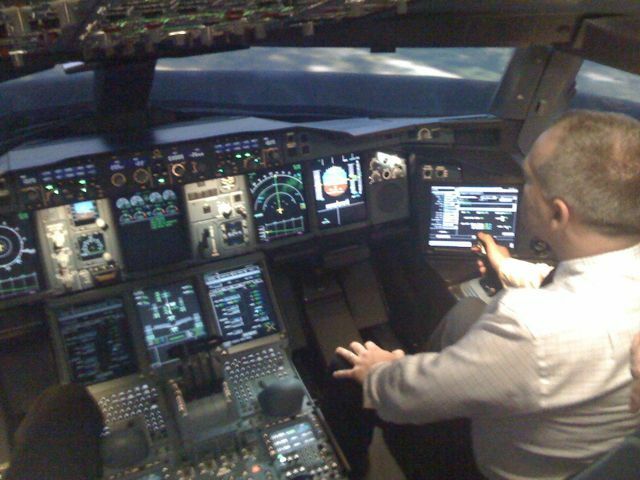 What struck me was the joystick, how small it was for such a large aircraft, the slightest movement of the controls would send this 500-ton aircraft (OK much lighter simulator) off to the right or left.